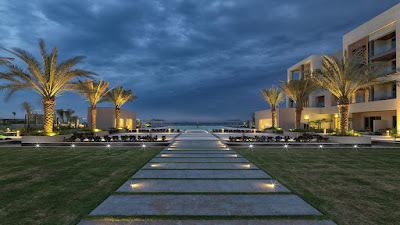 BritSwim, my favourite swimming school in Oman (on the basis that one of their partners taught my eldest daughter how to swim), is starting lessons at the Kempinski Hotel at The Wave Al Mouj. This is great news for anyone living down that end of town - you see BritSwim's other venues include PDO, Intercontinental Hotel, Dolphin Village, and the British School, Muscat. BritSwim is a team of a dozen friendly, qualified, and experienced teachers who are really dedicated to teaching with support, not force. They're going to be taking bookings this week for every age and level and places are limited. You can book by following the link to their site, where you can pick an appointment time for Tuesday, Wednesday or Saturday this week. As a parent who has seen one of their partners in action with swimming instruction, I can honestly say that I really believe in what they do and how they do it. Learn more about BritSwim classes at the Kempinski.